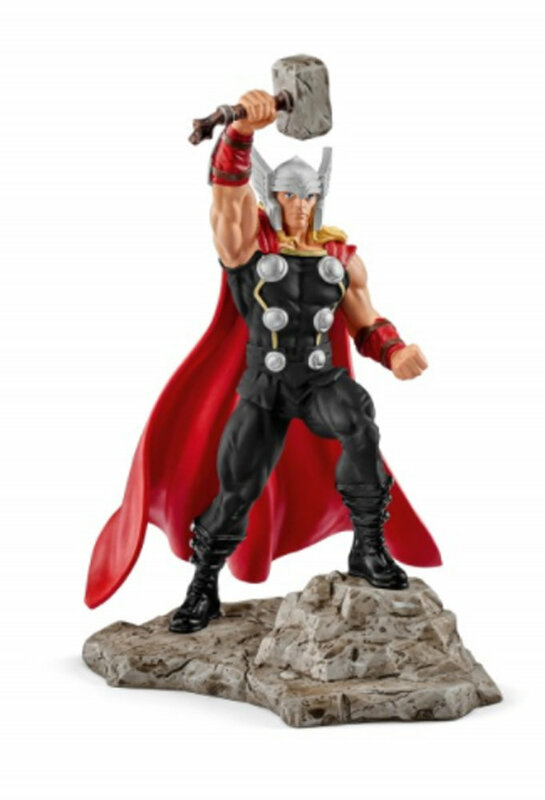 Thor wields a mighty weapon, the hammer Mjolnir. The hammer allows him to control thunder and lightning – and to strike more powerful blows than any other superhero. As an Avenger, he fights against the forces of evil. Thor, the Viking god, is almost invincible. His mighty hammer, Mjolnir, allows him to control storms, thunder and lightning, and it always returns to the hand of its powerful master. He comes from Asgard. When his father Odin, king of the gods, sends him to earth, he becomes a member of the Avengers so that he can fight side by side with other superheroes against the forces of evil – above all, his hate-filled brother, Loki.